Augusta Marriott at the Convention Center & Augusta Convention Center. 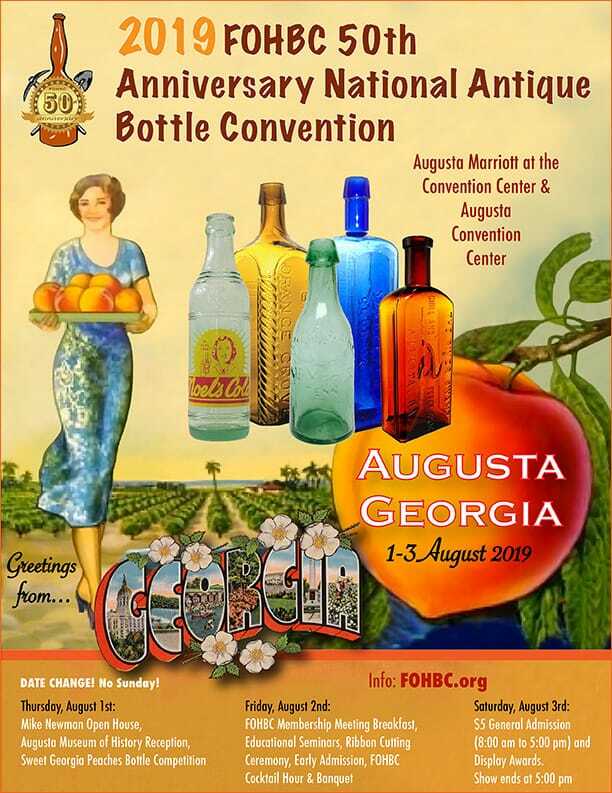 This will be a three-day event commencing on Thursday-August 1st, opening with the early afternoon Mike Newman Open House followed by the late afternoon Augusta Museum of History Reception followed by the Sweet Georgia Peaches bottle competition at the Augusta Marriott at the Convention Center. 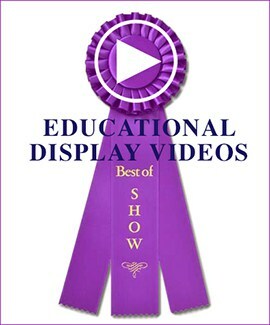 On Friday, August 2nd, there is the FOHBC Membership Meeting Breakfast, Educational Seminars, Ribbon Cutting Ceremony, Early Admissions, FOHBC Cocktail Hour and Banquet and on Saturday, August 3rd we will be have $5 General Admission (children 15 and under free) to the bottle show at the connected convention center followed by Display Awards at the conclusion of the show. 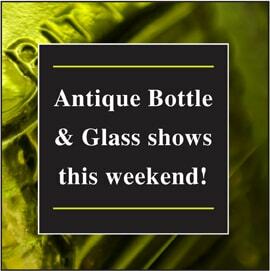 The convention will end at 5:00 pm on Saturday. Here are the reservation links your guests can use to make online and phone reservations. 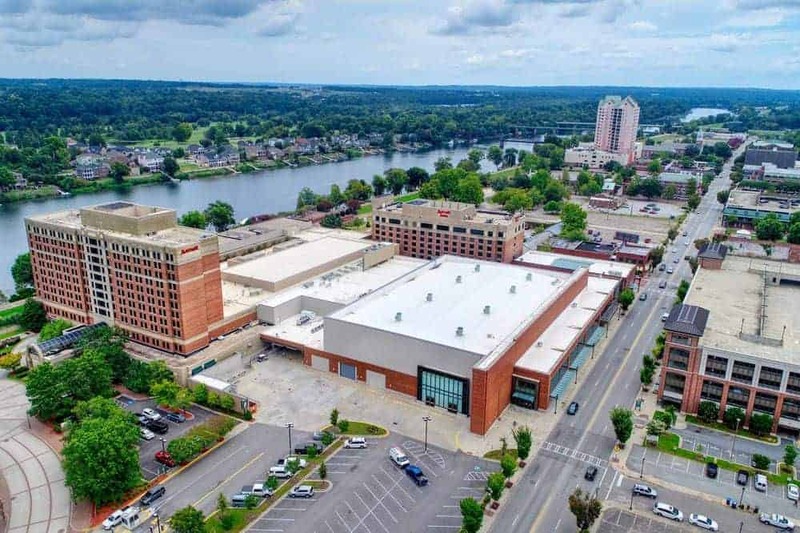 Augusta Convention Center bookended by two Marriott Hotels in historic downtown on the river. Call the hotel direct 706.722.8900 and ask to be connected to reservations. 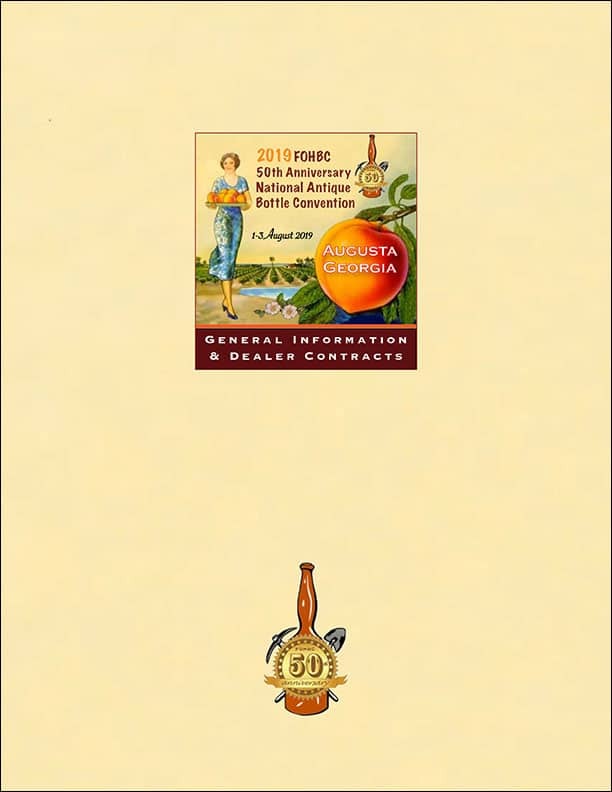 Then, they would need to let the representative know that it’s under The Federation of Historical Bottle Collectors National Convention and Expo group rate of $127 per night.